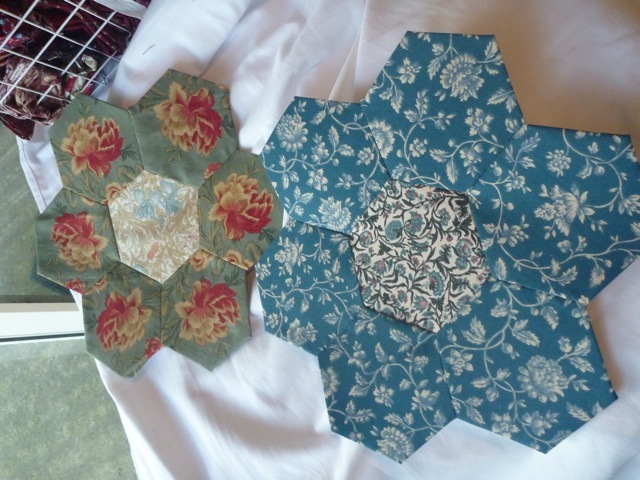 While my little boy played in the park, I was able to make two more hexagon flowers. I love the flowers on your flower! Beautiful hexies!